Responding to the needs of our customers in an ever-changing market place, Mimaki have developed the new SWJ-320 series particularly for the signage industry in emerging and more cost-conscious markets. These exciting machines, specifically available to non-European Union countries, offer established world-class Mimaki speed, quality and reliability in a grand format at a more affordable price. 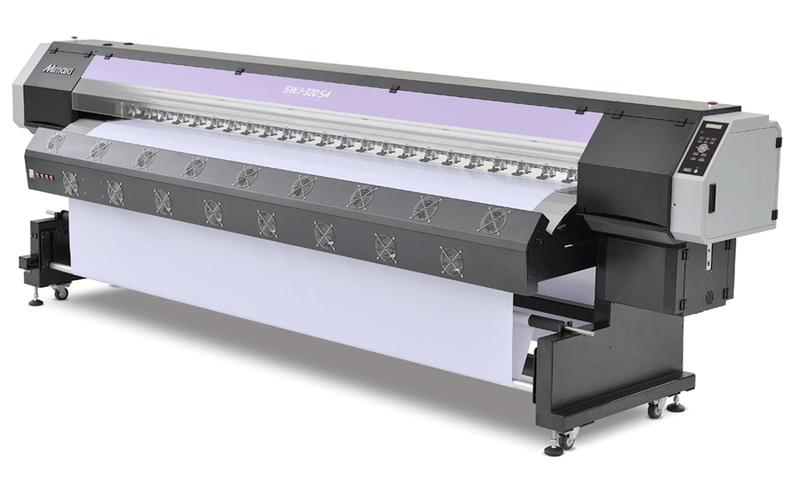 The standard model, SWJ-320S2, features two in-line print heads, while the high speed model SWJ-320S4 has a staggered array of four print heads. *The Mimaki SWJ-320S2 and SWJ-320S4 are currently available to non-European Union countries. Three different dot sizes (7 pl minimum) and the maximum resolution (1,080 x 1,200 dpi) ensures beautiful print results without a grainy appearance. Pressure purging. Pressure is applied to the ink when jetted from the print head. Automatic suction. When the print head is on a cap, the remaining ink on the head nozzle surface is suctioned. Automatic wiping. Nozzle surface is automatically wiped. Nozzle recovery function. The nozzle recovery function temporarily recovers the print operation without long pause, even if the nozzles are clogged. 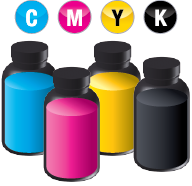 It enables the printer to keep on printing with excellent quality until the service personnel arrives. *Nozzle recovery function is a temporary failure averting function and its recoverability is limited. This function does not apply on Super Draft Mode. Affordable, exceptionally stable, and has low propensity to clog nozzles, the CS100 inks bring the same high Mimaki standards of colour accuracy, image durability and weatherability found in conventional Mimaki solvent inks. Available in 2 liter bottles.